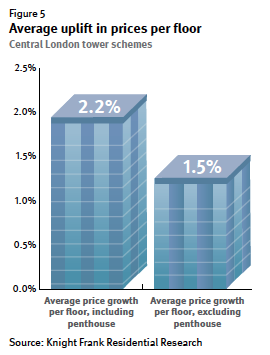 Net to gross area ratios in tower schemes are lower, since the percentage of space taken up by the cores and service provision areas are comparatively high. 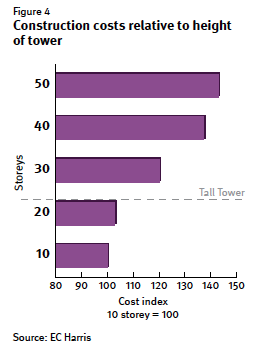 This means that the effective revenue-generating 43% Uplift in construction costs per sq ft between the 10th and 50th floor. I’ve explored the subject myself in New York Magazine and The Real Deal Magazine.